Many modern options in windows are only designed to last for approximately three decades. With these, it is virtually impossible to get a lifetime of use. This, however, is hardly the case with the sash windows London companies are offering. These structures can be restored, repaired and properly maintained for countless years. In fact, there are actually sash window designs that have been providing property owners top value for more than three centuries. There is simply no accounting for the durability and reliability that these options provide. This is why they are so incredibly popular among consumers. A lot of people love just how energy efficient these structures are. This remains true even when they are compared to some of the latest and most cutting-edge window technologies. This is because wooden frames provide some of the very best insulation in the world. Even as product manufacturers work hard to design new materials, the traditional options continue to provide greatest measure of overall benefits. If better insulation is appealing, you may be concerned with the way in which your home designs affect the natural environment. When it comes to wooden window designs, it is possible to lower your carbon footprint overall. Not only are these better insulating that either vinyl or PVCu, but they also require less energy and far fewer resources to produce. 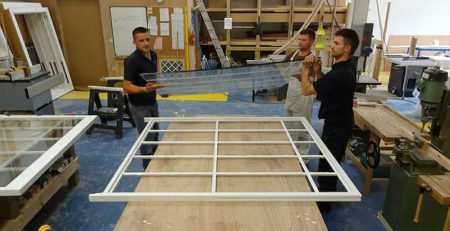 In fact, they take one-eight the resources that are required for manufacturing comparable PVCu windows. This is certainly the case when you use a reputable and well-rated company to produce your windows. The best of these professionals source their raw materials in the most ethical and environmentally-friendly manner. As such, all of their production practices are entirely sustainable and do not contribute to the widespread deforestation that so many people worry about. What many consumers do not know is that many non-wood window manufacturing processes have a far greater and far more detrimental impact on forests throughout the world overall. A quality installation and repair company will handle all of its own work in-house. Most of these entities have their own dedicated workshops. Thus, whether they are building your windows brand new or intend to repair the ones that already exist in your home, they can take all of the required parts to their own work area without having to outsource. This allows for the best measure of quality control. It also makes it possible for these entities to control job costs, use the best equipment and supplies and ensure a reasonable time frame for completion. One major benefit of working with these entities is being able to restore the original, traditional look of your home without having to eliminate these important property features. A lot of property investors are eagerly looking for homes that have their original sash windows in place. If you want to get yours restored, you need to connect with a company that’s willing to accept projects of all sizes and levels of severity. This way, no matter how extreme your repair needs may be, you can rest assured that they’ll be handled by willing and capable professionals who will know how to handle the related work best. Another reason for working with these entities is the fact that they’ll work diligently to preserve as much of the original and authentic materials as possible. They will definitely restore and improve upon any dated hardware that you’ve retained. They can do this, while offering you some of the best upgrades in these structures available so that the resulting windows are stronger, more efficient and much easier to maintain and use. If you continue to maintain these restored structures throughout they years, they will continue to last as long your home remains standing. This is far preferable to vinyl or PVCu options that need to be replaced every time a minor repair issue arises. 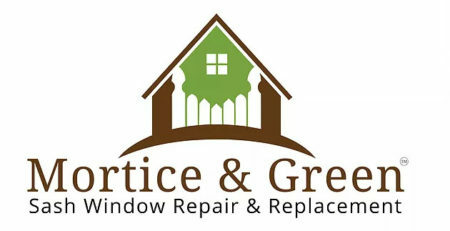 This is definitely something to remember if you’re looking to have brand new windows installed. People can save a considerable amount of money by having wooden sash windows installed. These structures are beautiful, guaranteed to add value to your home and certain to provide a far greater level of insulation than many of even the most innovative window designs. They can cut your home energy costs by making it much easier to maintain ambient temperatures indoors. They will also give your property a stunning look that’s in keeping with the original architecture and its timeless historic appeal.